Donna Evans L.D.O has been a Florida state licensed optician since 1985. Donna excels in finding the right fit for every face. 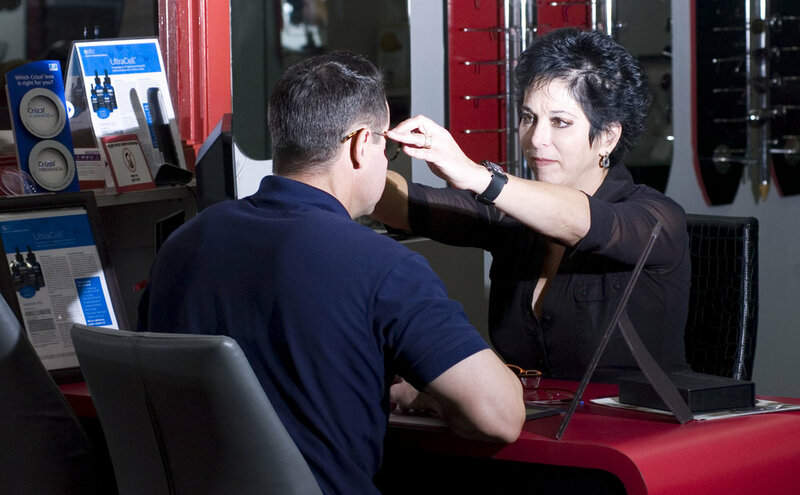 She is certified in all forms of lens fabrications including customized edging and high powered lenses. Continuing education training in optical fashion, free form lens design and digital technologies are her specialties. Also trained in the newest in prescription sunglass advances in Maui Jim, Oakley and sport lenses. A south Florida native, Jessica has been with Jazzy Eyes since 2015. She is apprentice to Donna, working towards to certification upon completing hours. Jessica teaches patients insertion and removal of contact lenses, assists with fitting patients in glasses as well as dispensing glasses. Jazzy Eyes is grateful to have Jessica on the team.